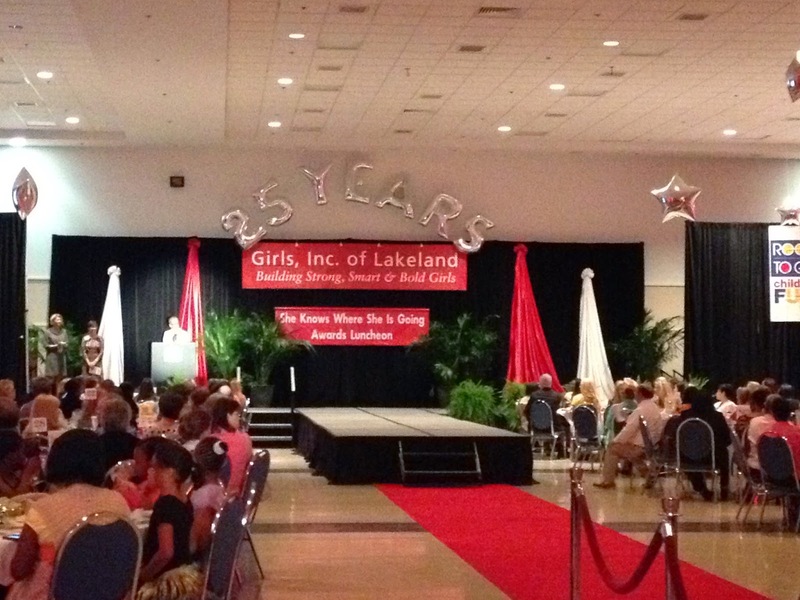 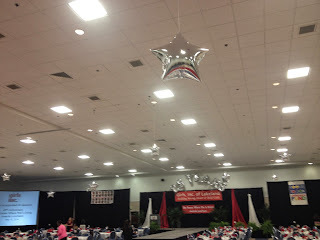 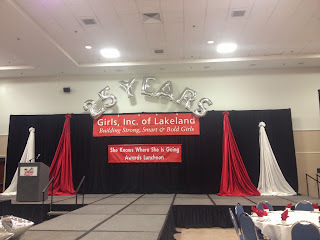 Girls Inc Celebrated their 25th Anniversary of She Knows Where she is going Luncheon at The Lakeland Center. 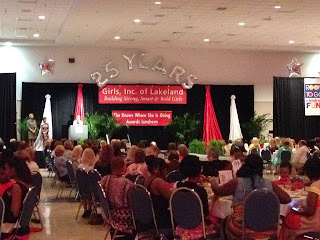 Party People Celebration Company created at 25 Years Arch over the stage with our Jumbo 40 inch tall Balloons Lovely Fabric Flairs gave color to the stage. Party People Installed Stars from the ceiling. 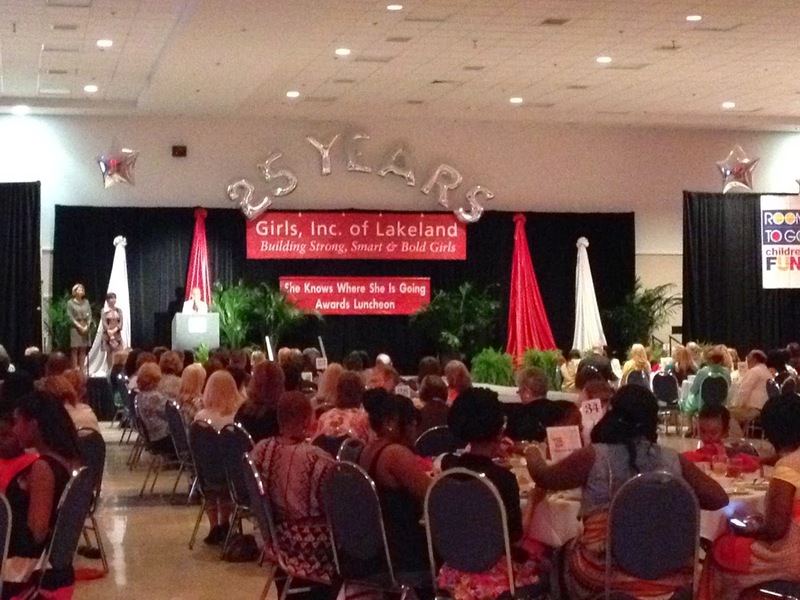 Call 1-800-752-3650 ext 2 to have Party People create decor for your celebration in Central Florida.